The Ferrari F12, a front engined Supercar with a monster 6.3 litre V12 tucked behind those front wheels. This incredible Supercar delivers 730bhp with 509lb-ft of torque, sprinting from 0-62 in just 3.1 seconds. 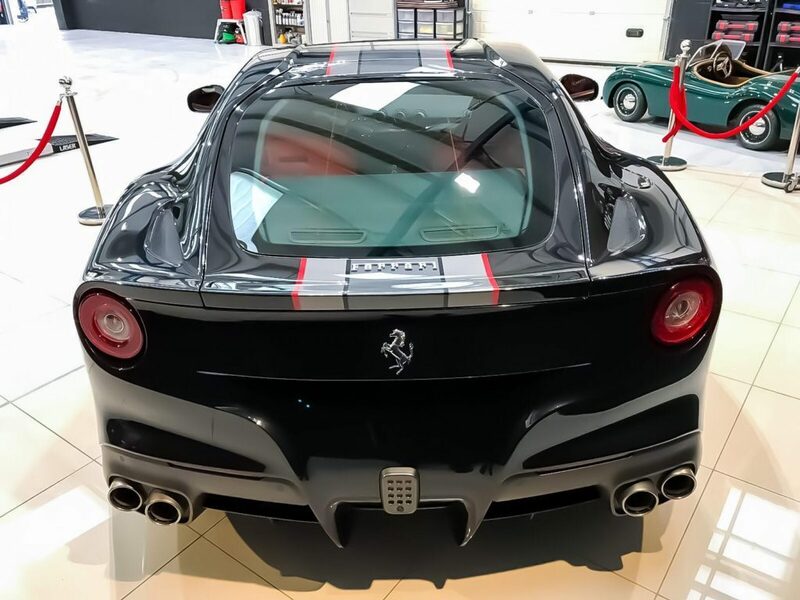 The paintwork on the F12 had been subject to various wash chemicals and contaminants which resulted in light swirl marks caused by the usual wash culprits such as hand car washes and washing at home with high PH solutions. 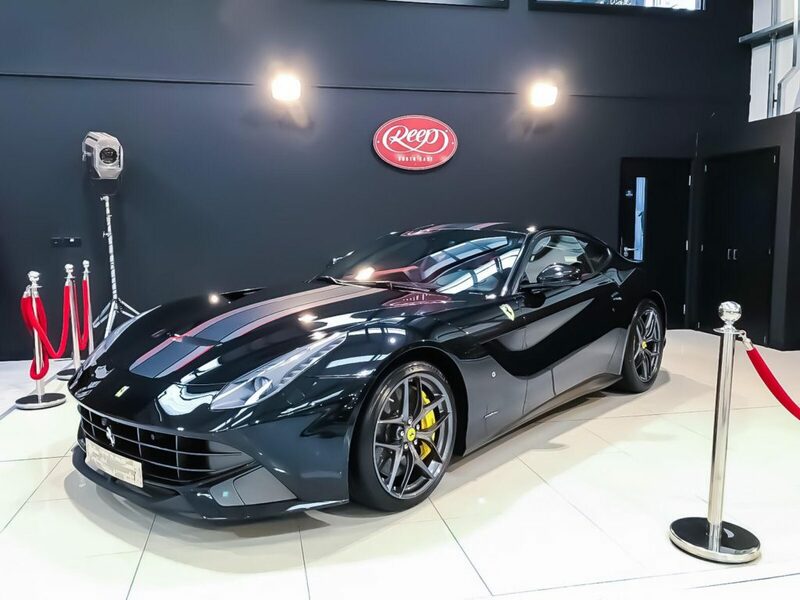 The first job for our detailing team was to full decontaminate the F12, this involved a rigorous 22 stage decontamination process. Once fully prepared, our team set to work on removing the swirl marks. This involves using specialist compound machine polishing techniques to remove a tiny layer of the clear coat to reveal a swirl free surface. 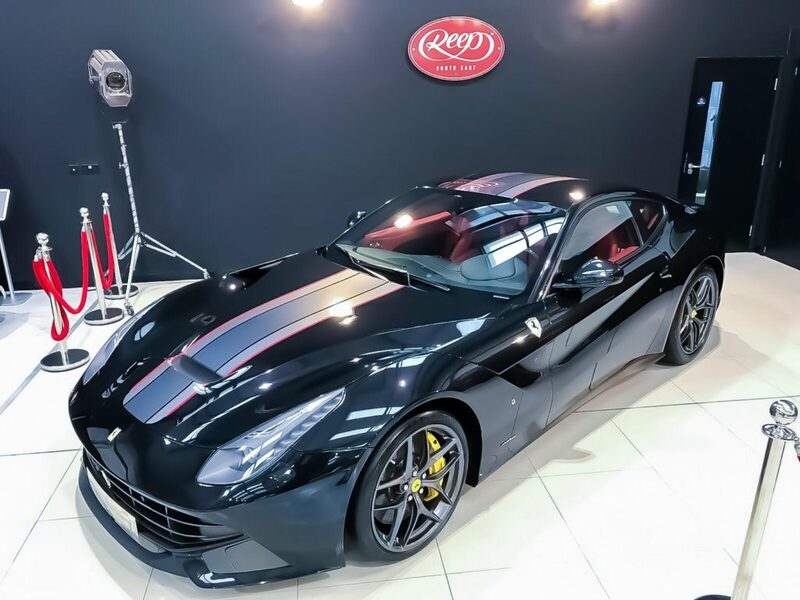 In addition to paint enhancements, the owner of this stunning F12 wanted to personalise his Ferrari. Our detailing team designed and installed custom stripes down the bonnet, roof and rear wing of the vehicle. 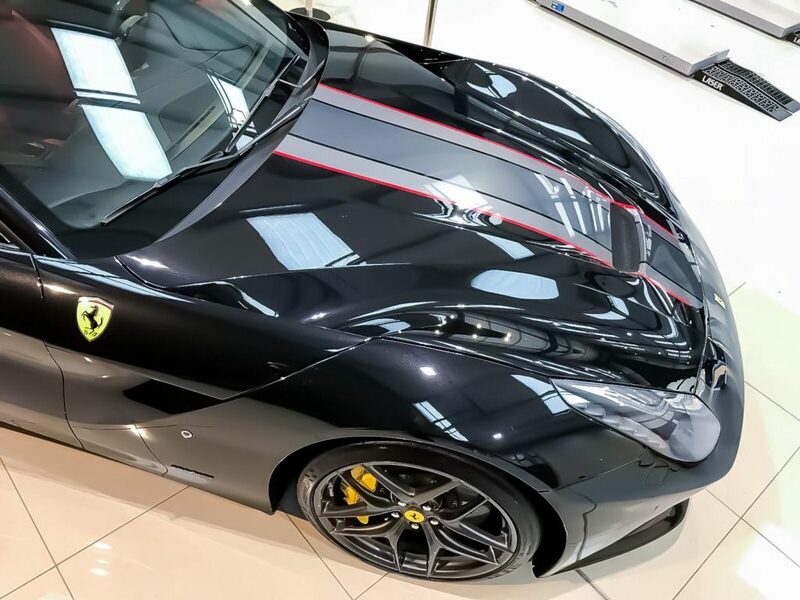 Gtechniq ceramic coatings have been applied to the entire car to create that incredible high gloss finish, this includes applying Gtechniq coatings to the custom stripes as well as the paintwork to ensure a smooth sealed finish. Our detailing studio in Cranleigh, Surrey has purpose built clean rooms designed for the application of Gtechniq’s Ceramic Sealants. The environment in which these protectants are applied needs to be as clean and pure as possible. 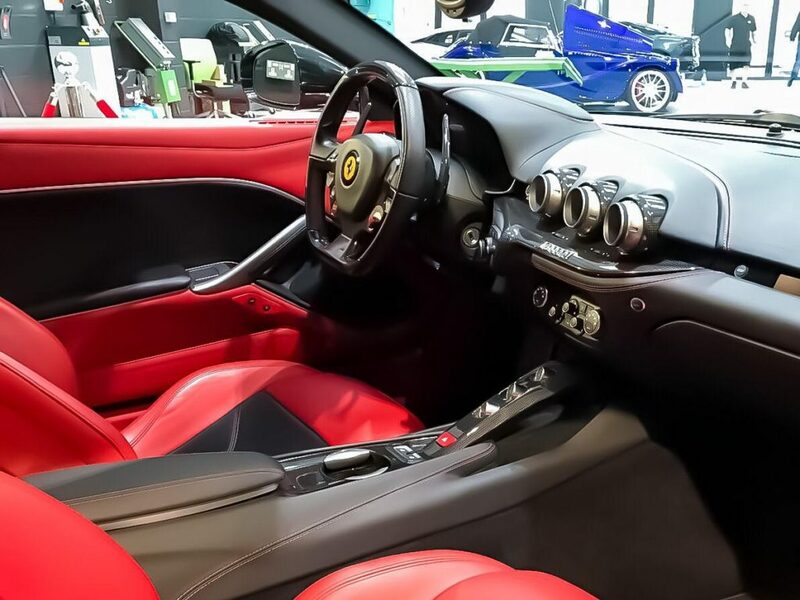 Take advantage of our Ferrari detailing services. Below is a list of the areas we cover, click the link to find directions from your chosen location.